The farming series known in Japan as Bokujo Monogatari (which was originally Harvest Moon in the West before Marvelous started self-publishing the game) is getting its next entry in the West as Story of Seasons: Trio of Towns fairly soon. XSEED has announced that the game will be hitting 3DS on February 28 and will be getting a pocket plushie of the new in-game capybara pet with pre-orders. Trio of Towns' main hook gives the player three unique locales to explore as they look for new ways to grow crops and such. 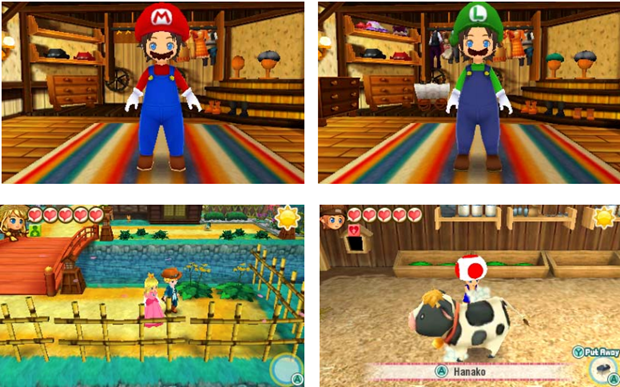 Each town will also offer its own crops, potential love interests, animals, festivals, and more. Are you interested in checking out Story of Seasons: Trio of Towns when it releases?